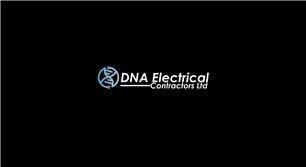 DNA Electrical Contractors Ltd - Electrician based in Walsall Wood, West Midlands. Welcome to DNA Electrical Contractors Ltd, we are skilled electricians, Intruder alarm, CCTV and smart home installers. We are a small, family run business with big ambitions. We aim to be your go to local electrician. We pride ourselves on the quality of our installations and our attention to detail. We are NICEIC Approved Contractors. This is a mark of our knowledge, professionalism and quality of our installations. We will also design your installation to meet your needs and preferences. We are experienced smart home installers. We currently fit Tado, Nest, Hive, Arlo CCTV, Lightwaverf and Phillips Hue. We are also installers of Control4 home automation systems. Call us today on 07534975315 to discuss your needs with one of our members of staff.